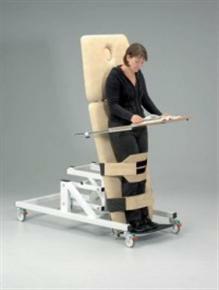 Electric Adult Tilt Table For Standing Positions. An economical tilt table that includes some outstanding features. Manufactured to a very high standard, it represents exceptional value for money. Tilt tables are used extensively in functional rehabilitation where the requirement to stand or be upright is of paramount importance. Standing can improve quality of life, assist in the natural gravitational functions of the body, re-educate balance mechanisms affected by long periods of lying and give a degree of independence. 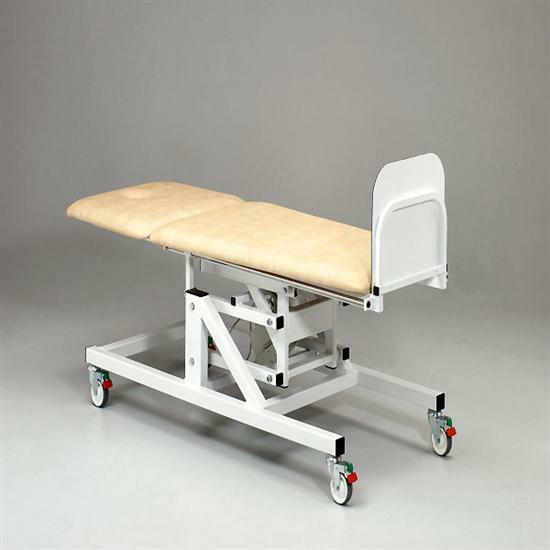 The design of this tilt table also means that the footboard can be removed so it can be used as a plinth featuring a negative head section and breathing hole with plug. 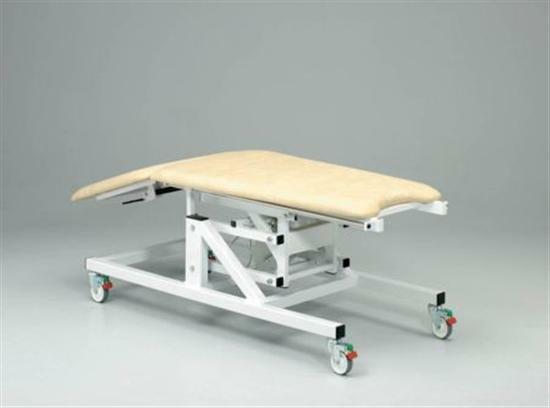 With an extremely smooth movement, this tilt table is designed to promote confidence in both the client and the therapist.